Anisha has been moved from one relative’s house to another in search of a good livelihood. She has moved schools several times and this is not giving her a good foundation in her early childhood education. This happened as a result of the determination of her mother to give them a better future and running away from her early forced marriage. This did not leave without wounding little Anisha as she was old enough to notice the difficulties her family was facing. She needs counselling to reconnect. Anisha is joining class 6 in the year 2017. 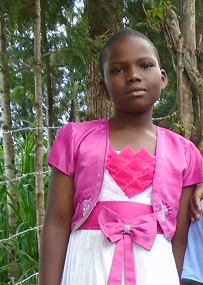 Sponsoring Anisha’s primary education is $50 per month. Thank you for sponsoring Just One.